Read The Catcher in the Rye by J.D. Salinger, The Alchemist by Paulo Coehlo, OR The Road by Cormac McCarthy with a critical eye, annotate, and create an Major Works Data Sheet. Expect to write an essay during the first two weeks of school. 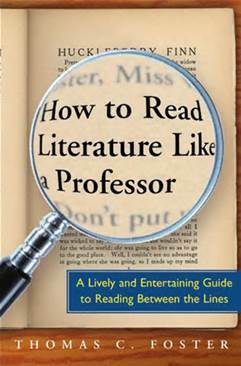 Suggested: Read How to Read Literature Like a Professor by Thomas C. Foster. There are also some very helpful outlines of the book you might consult. The patterns he outlines in the book will help you analyze your summer reading and the various texts we’ll read throughout the year AND help you assert the significance of your quotes on the MWDS. Suggested: Annotate your summer reading novel. We’ll be doing this sort of close reading throughout the year and starting with the summer reading is a great way to develop the skill of critical reading.